I thought it was time to show you what I mean when I say my staple products. Although sometimes I vary them a bit (eg. 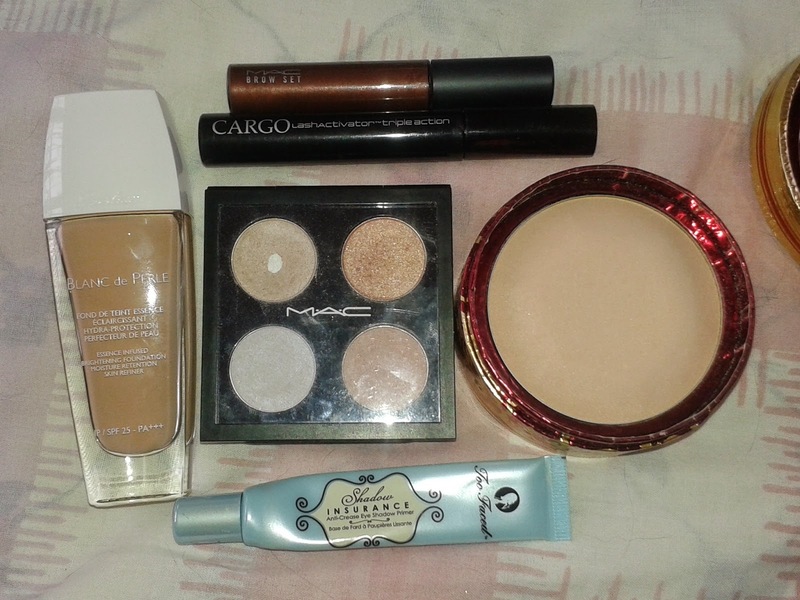 if I need waterproof mascara or a foundation with less coverage), but generally these are the products I reach for most often nowadays. So now you know what I mean when I say my staples. 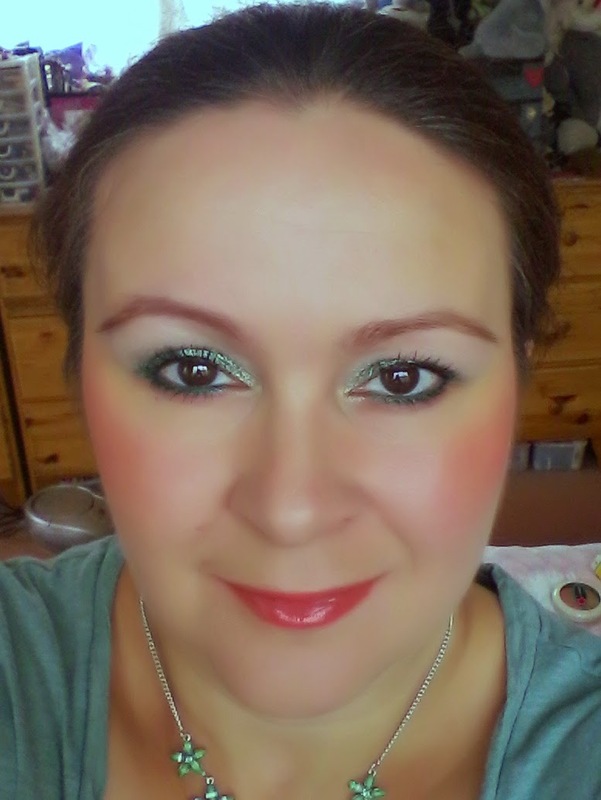 Products used (other than my staples): Mac Crushed Metallic Pigments in Moss Garden, Spruced and Silk Stocking, Urban Decay 24/7 eyeliner pencil in Covet, Laura Geller Baked Blush in Bora Bora and Mac Lipgelee in Lush & Bright. See 2 more looks after the jump! 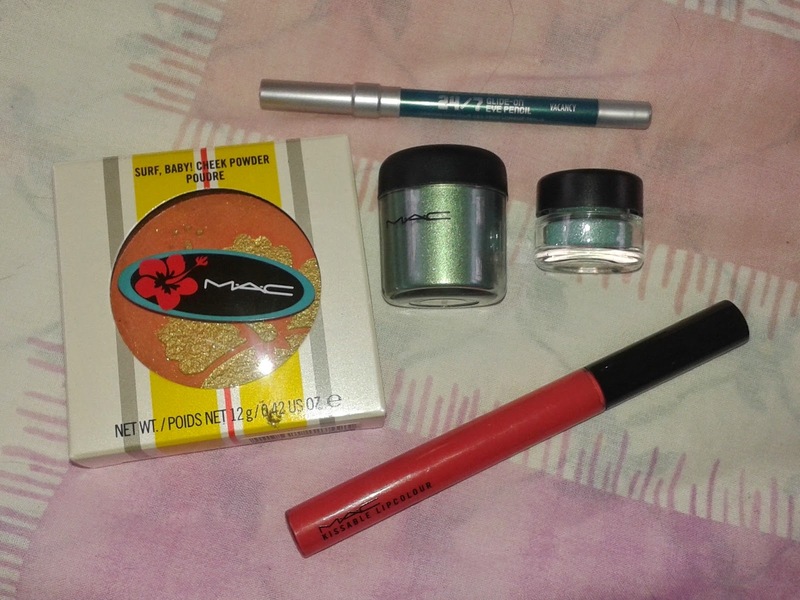 Just wanted to show you a few of my recent nail polish purchases. 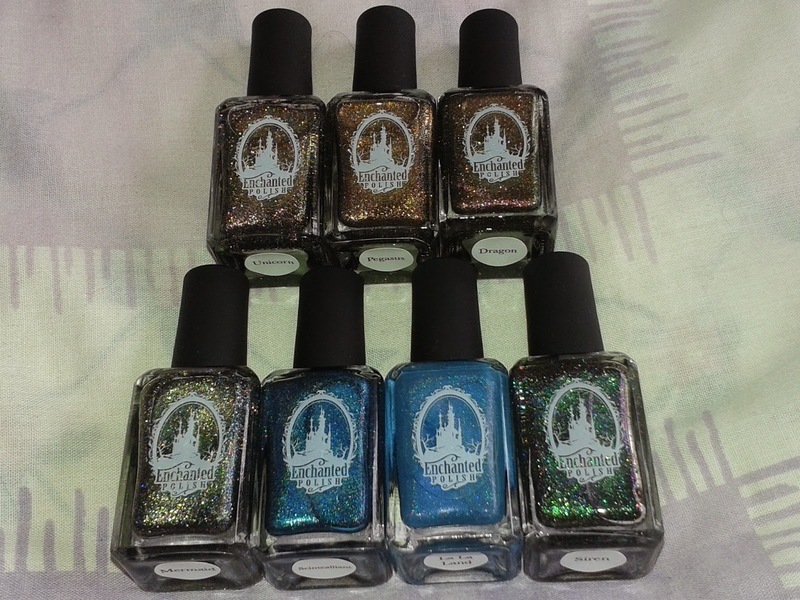 First one is my Pshiiit Boutique Enchanted Polish order. Finally I'm the proud owner of Scintealliant, Pshiiit's exclusive shade that I kept missing out on and couldn't bear to pay $80+ for on nail polish selling sites. 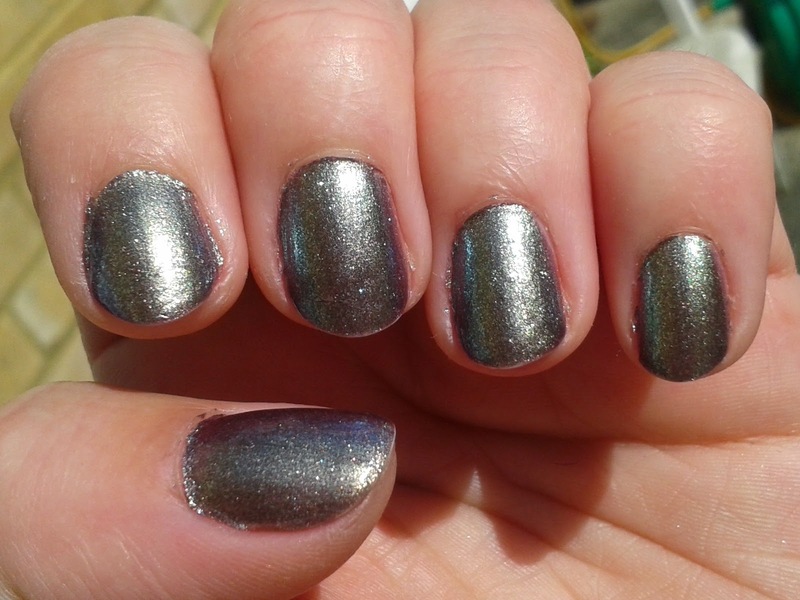 I also placed a sizeable order with Darling Diva Polish last weekend when she released a few limited edition shades. 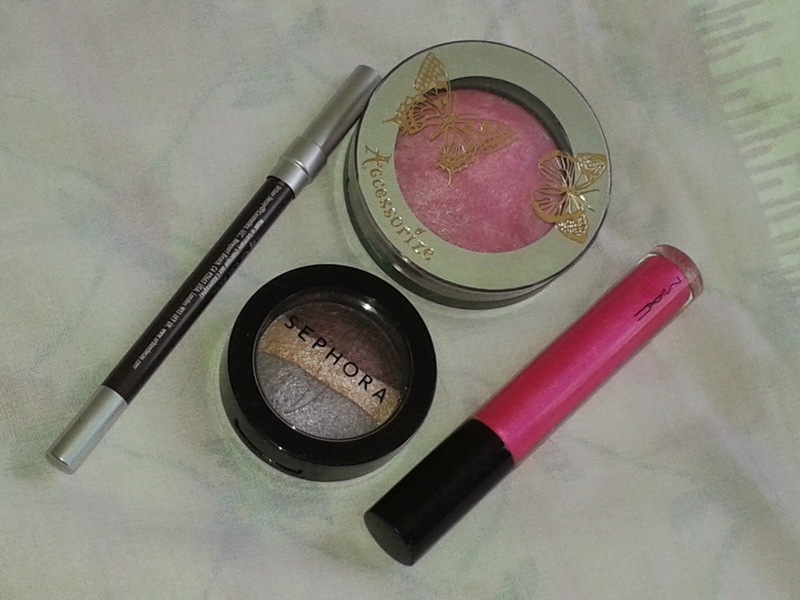 I needed a few more for free shipping (over $75 internationally), so threw in a few older shaded. 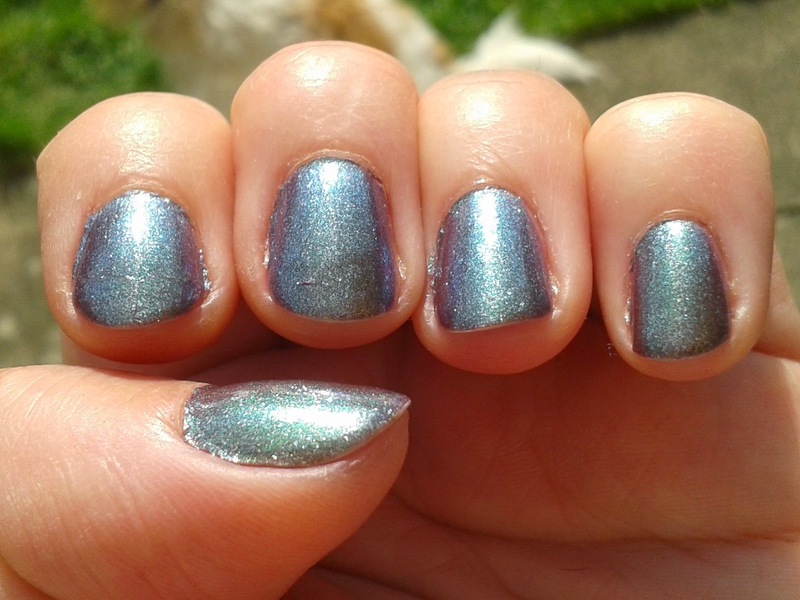 Carrie also kindly included a Pryzmatic PETC topcoat for free. 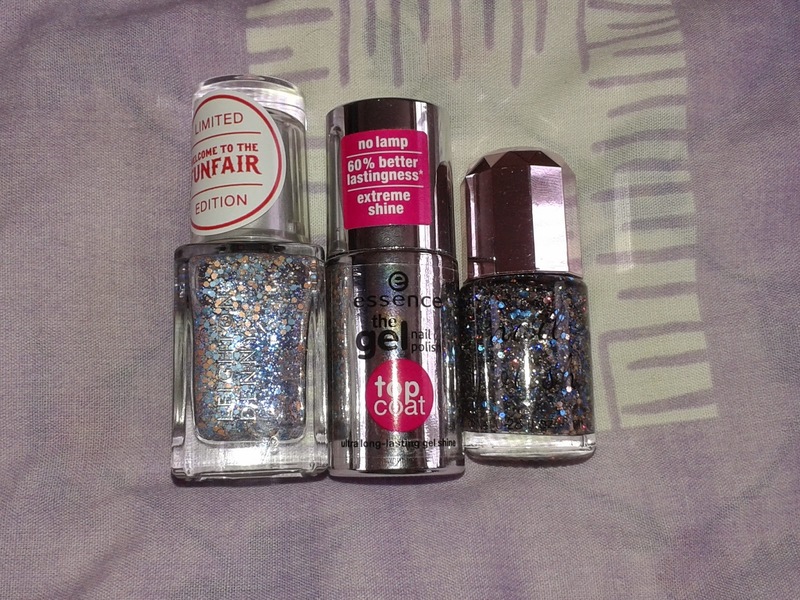 I also picked up a few polishes when browsing in the shops the other day. 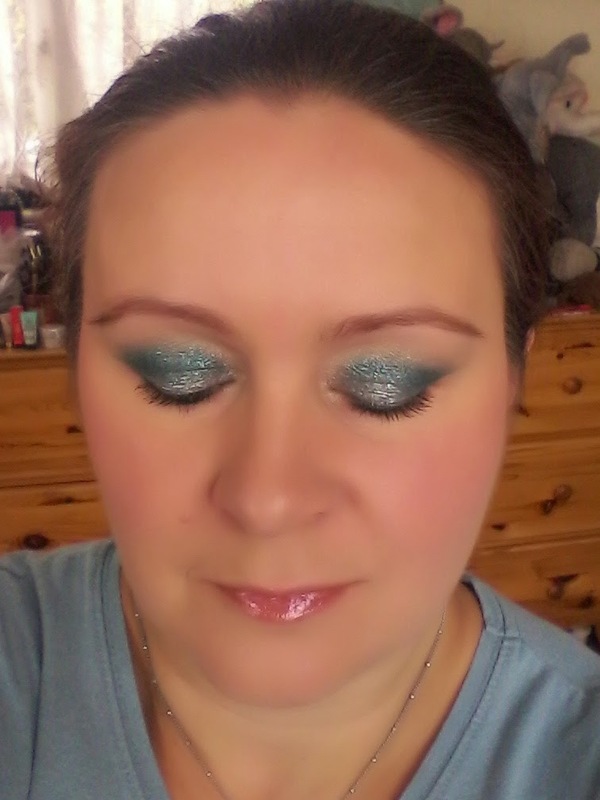 The new Leighton Denny shade (Loop the Loop) is from M&S, the Essence gel top coat is from Wilko and I got Blue Frost from H&M. I'm really interested in trying the gel top coat out to see if it will help keep nail polish on me without chipping for more than 2 days. I usually do my nails every 2 days anyway, but it would be nice if my polish didn't chip much before I change it. I will let you know how it goes. Polish Me Silly Lator Gator is a very complex shade. 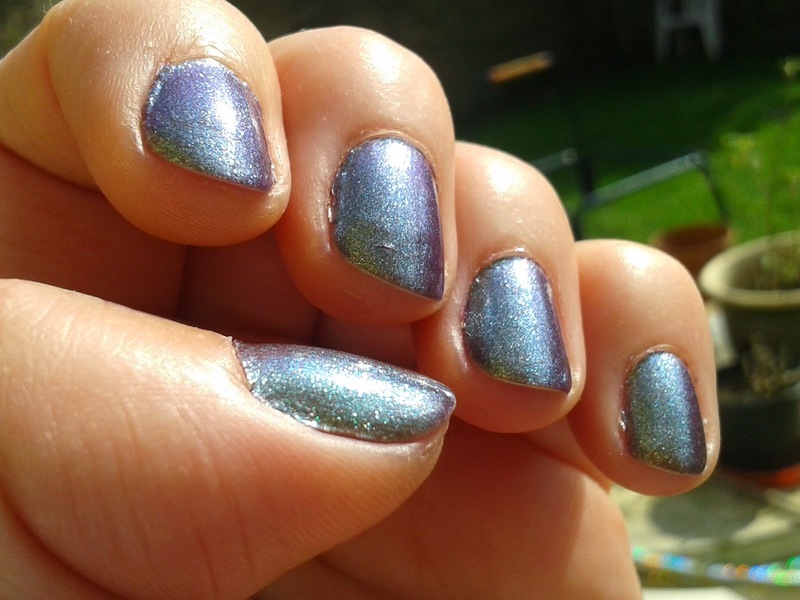 In the shade it mostly looks green, in the sun it's golden purple, and then you have blue and purple shift to it. There's also lots of glass flecks that make it look almost metallic. I did 3 coats for full coverage. 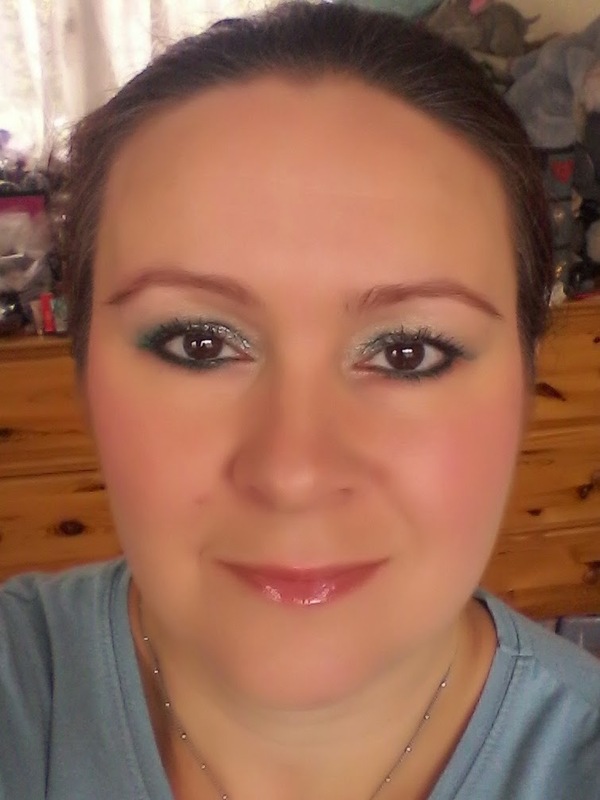 Here's another look I've done with products that had been sitting unloved in my make up drawers. 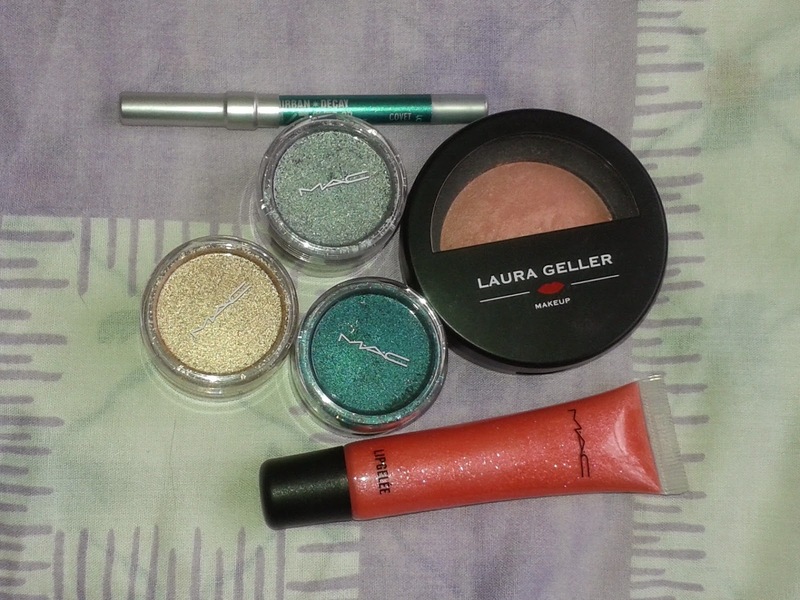 Products used (other than my staples which I will do a separate post about) were Mac Surf Baby! 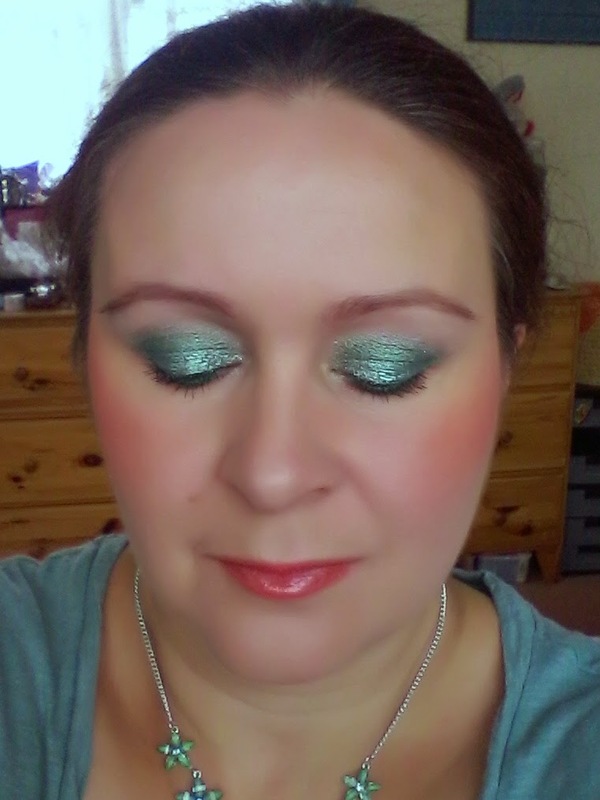 Cheek Powder in My Paradise, Barry M Dazzle Dust no. 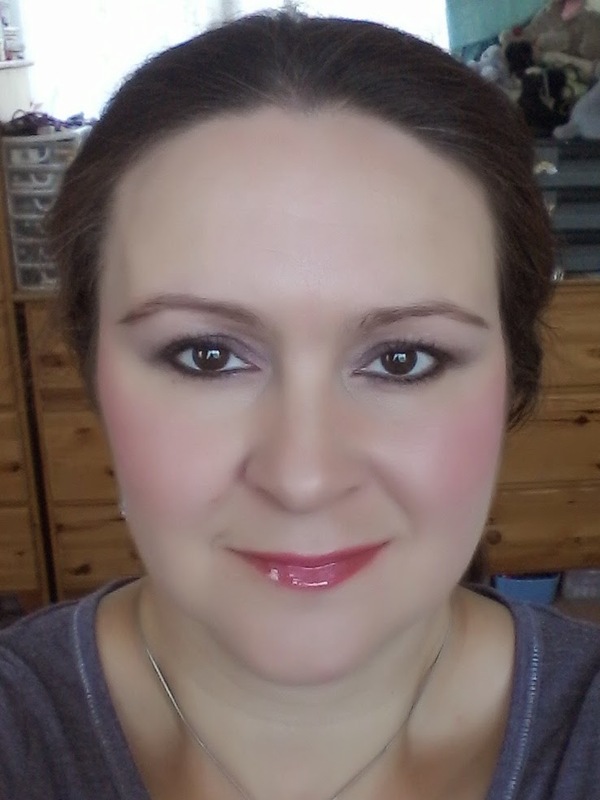 26, Mac pigment in Spiritualize, Urban Decay 24/7 eye pencil in Vacancy and Mac Kissable Lipcolour in Exxxhibitionist. I'm really enjoying this and will continue to post pictures. Hope you like them. 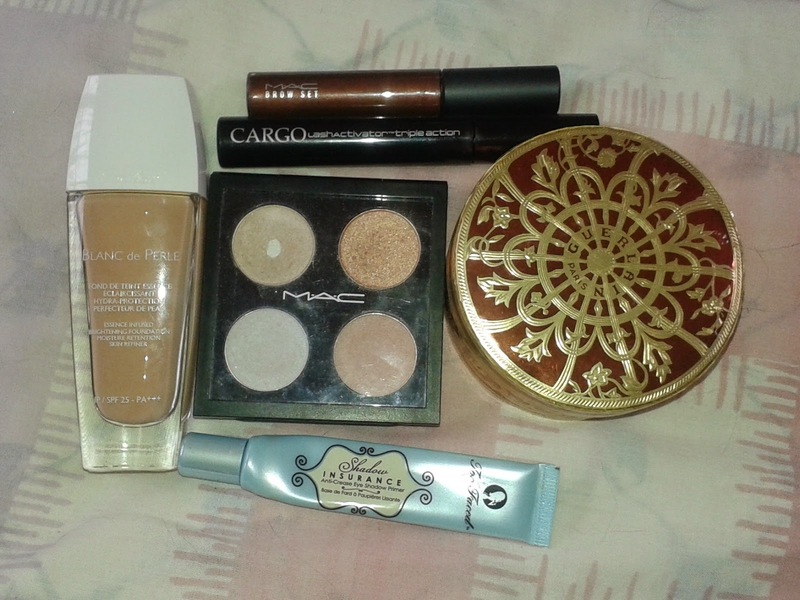 So today is the first day of me using some make up that's been sitting in my drawers unused. 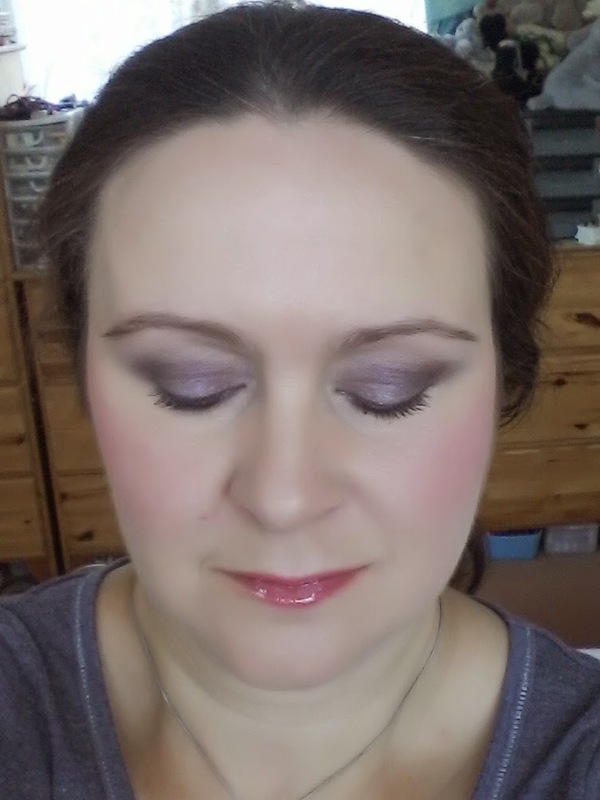 In this look I used (among my staples like foundation, powder, mascara and brow set gel which I have no need to mix up) Sephora Moonshadow Trio in Dusk Till Dawn, Urban Decay 24/7 eyepencil in Rockstar, Accessorize Merged Baked Blusher in Wowzer and Mac Dazzleglass Creme in If It's Pink. Feel free to let me know what you think, but please go easy on me, I haven't done this in a long time. So that's day one ticked. Onto day two, the adventure continues! And since I'm on fire this evening, here's my current mani, Liquid Sky Lacquer It's Wine O'Clock Somewhere and Zoya Arlo. 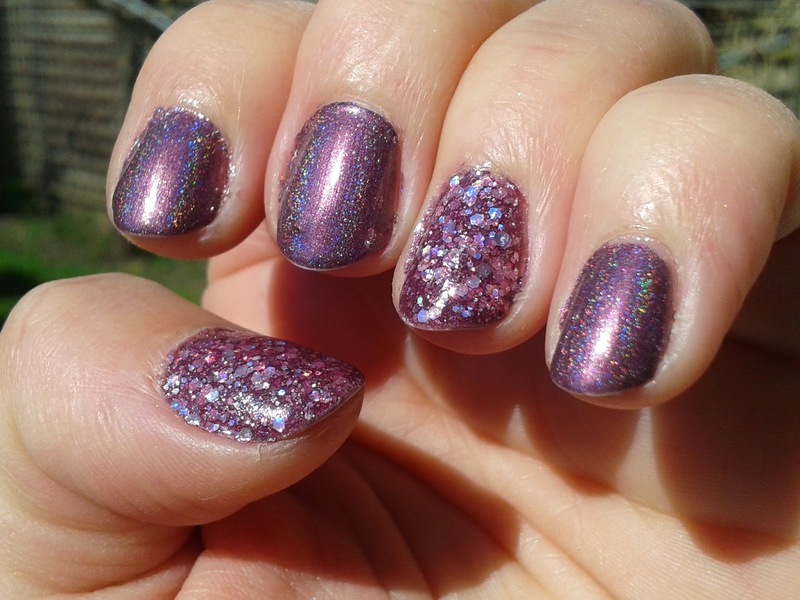 It's Wine O'clock Somewehere is a slightly dusky reddish purple holo, which really compliments Arlo, the glittery Zoya Pixie Dust polish. 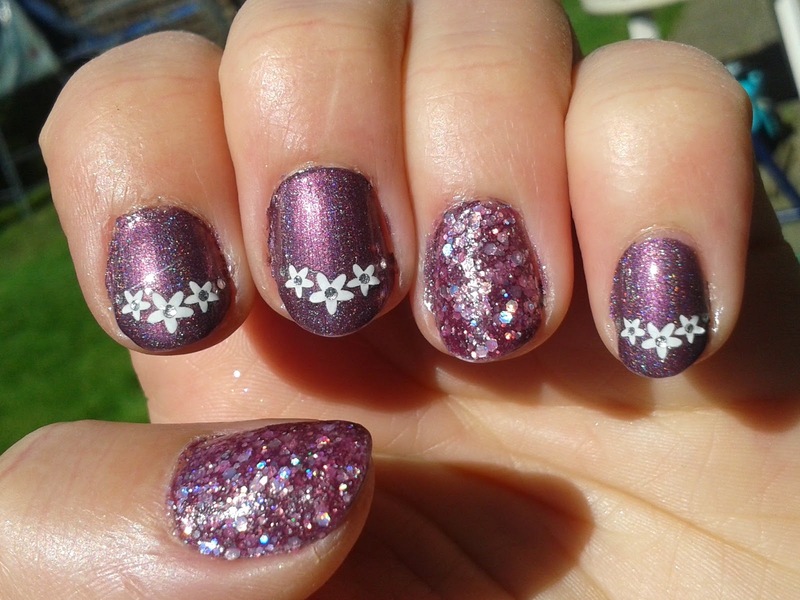 I also added some nail stickers that I got in Superdrug the other day.